Securranty, a leading warranty provider, announces protection plans for the new iPhone 5S and iPhone 5C. Securranty, a leading warranty provider, announces protection plans for the new iPhone 5S and iPhone 5C. Customers can protect their new iPhones for 1 to 3 years for as low as $59/year. With zero deductibles and same day repair option at the Apple Genius bar, it is the most competitive way to protect iPhones and iPads. Replacing an iPhone can cost $549-$849. Repairing an iPhone cost $249. 1-Year protection plan from Securranty costs $59. 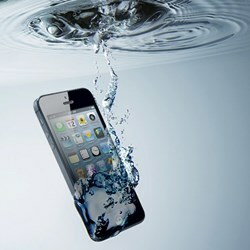 It’s estimated that 30% of iPhones are accidentally damaged in only the first 12 months of purchase. With the average person checking their cell phone about 150 times a day, the inexpensive protection plans from Securranty provide the peace of mind from accidents. Traditional iPhone insurance plans carry high deductibles and fees with monthly fees that cost up to 50% more than Securranty plans. Securranty‘s protection plan covers all possible accidents including drops, cracks, liquid damage and more. Securranty is a leading developer and marketer of Extended Warranty programs for consumers, businesses, educational institutions and government. With over 45 years of combined industry experience and knowledge, Securranty leads in product innovation, design, and development. Securranty provides extended warranty for all consumer electronics and appliances such as smartphones, tablets, laptops, cameras, television, appliances & more.